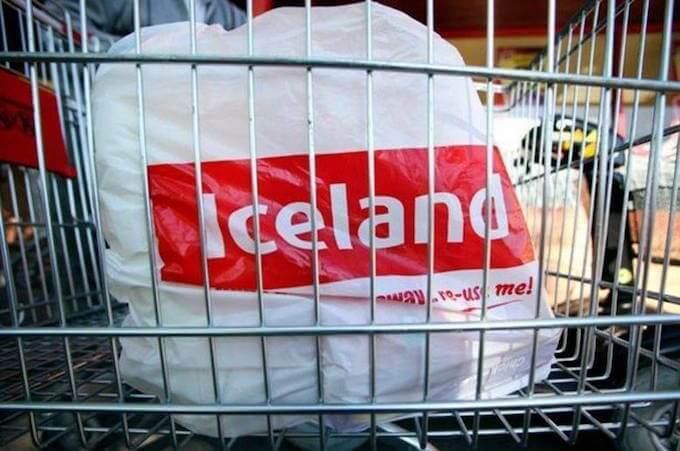 Iceland has promised to become the world's first major plastic free grocer. The frozen food supermarket is pledging to stop using plastic in its own brand packaging by 2023. It instead intends to use paper, pulp trays and paper bags - all of which are recyclable. The decision follows a survey conducted for Iceland which showed 80 percent of people are in favour of retailers reducing plastic packaging levels. Iceland is also backing plans for a plastic bottle deposit return scheme. The pledge by Iceland comes as Prime Minister Theresa May called on supermarkets to play their part in reducing plastic usage. Environmental charities have praised Iceland's leadership on the issue.